This is a Gunvault SpeedVault Standard Gun Safe. 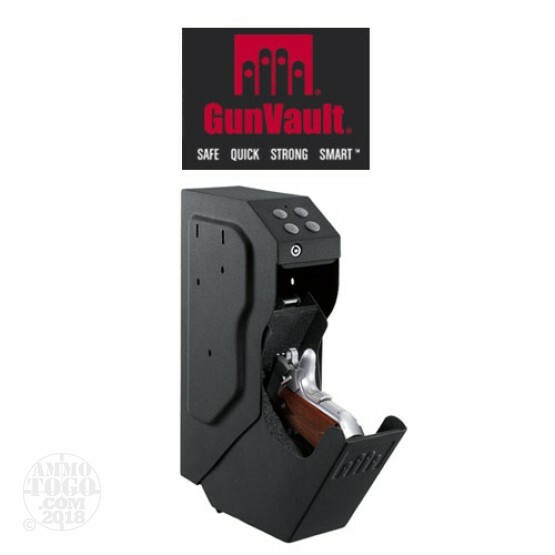 Keep your handgun safe, secure and ready for action with the SpeedVault. Offering a revolutionary design, the SpeedVault is equally as fast as it is discreet. It is the ideal choice for a home or business looking for added security. Digital Keypad. Multiple mounting options. 18-gauge steel construction. Backup override key included. Audio and LED low battery warning. HxWxD 6 1/2" x 3 1/2" x 13"
HxWxD 2 1/4" x 5 3/4" x 8 1/2"